When you think of Mystic, Connecticut the movie Mystic Pizza probably comes to mind featuring Julia Roberts. We are not saying that you shouldn’t check out the actual Mystic Pizza restaurant but wanted to enlighten you to another tasty shop in this New England town. Just before you cross over the drawbridge leading to the downtown area is a small side street where we discovered a piece of cupcake heaven, Li's Bake Shop. They have some of the best cupcakes we have ever had so you guessed it, time for our second road trip to the great state of Connecticut. This shop is tiny in size but huge on taste. We had the tough decision to make among the many delectable offerings but in the end we know we picked well. 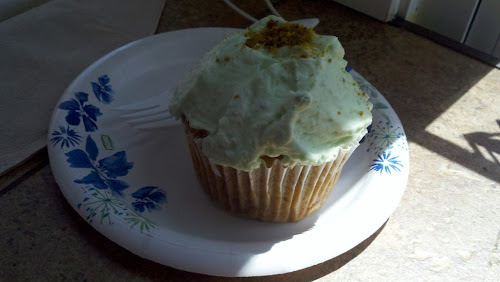 I chose the pistachio cupcake that was topped with a light frosting and it was out of this world. 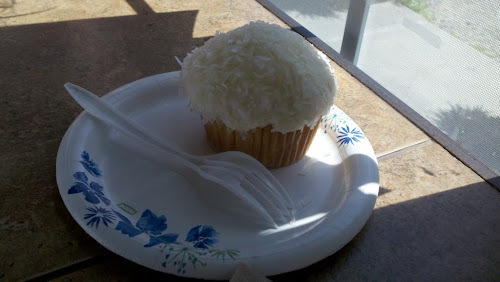 My wife decided on a coconut cupcake and she couldn’t believe how good this tasted. She loves all things coconut and this seriously ranks up there with the best of the best! Looking for something to do in the area? 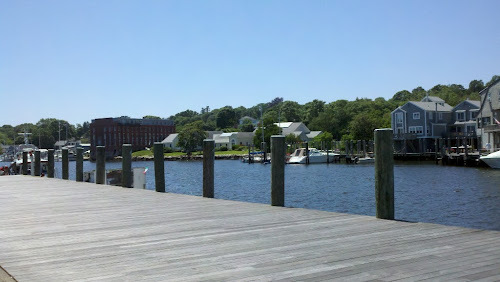 Because of its location on the water, Mystic is a very popular tourist area. There are plenty of shops in downtown to keep you entertained, or you can select a bench along the water and watch the boats and the drawbridge. Mystic Seaport where one can roam around the museum and appreciate the maritime history of the area. Head to the Mystic Aquarium and to see some water life. And for you gamblers there is always Foxwoods. 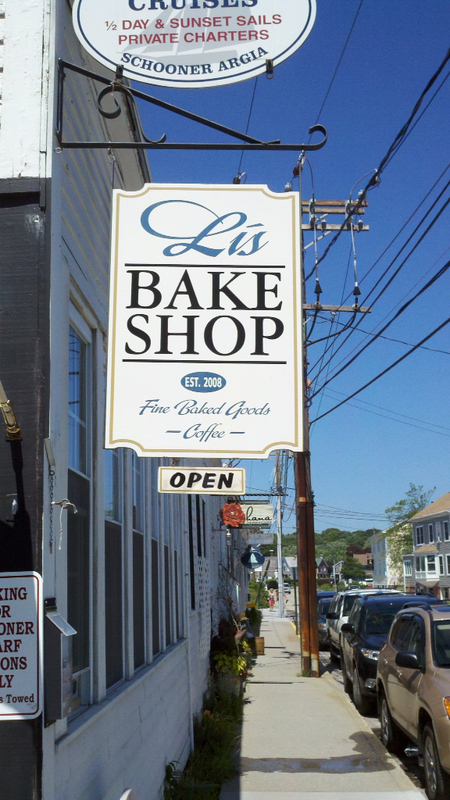 Want to know how far it is to Li's Bake Shop and where you live. Click on the address below for directions on Google maps.